It’s been a month since the release of Arrested Development’s fourth season, and the add-ons keep coming. 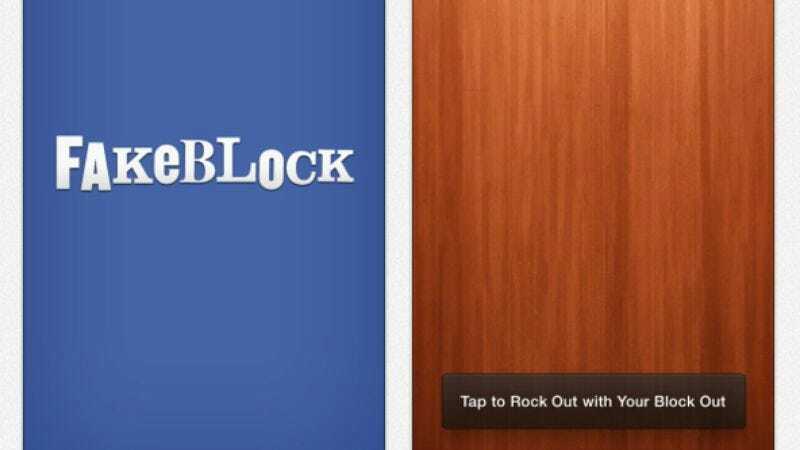 You can now download the official Fakeblock app from iTunes or for Android. Right now, the home screen features a subtle wood panel, the perfect aesthetic for such a forward-thinking slice of digital genius sure to change the world. Use it for the cutting-edge privacy technology that drove massive VC investment. Or, you know, as a digital woodblock that gives out that perfect sound. No word yet on when the mallet or grain options will be rolling out.